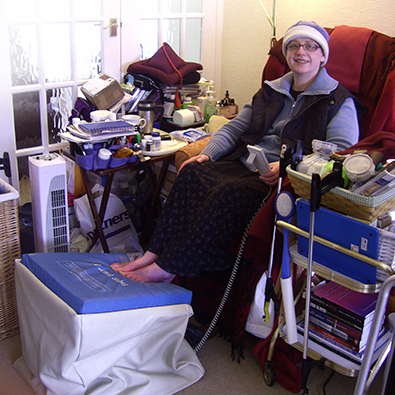 Diane has Lymphoedema and when sitting, her legs and feet become uncomfortable and painful. To help prevent this she elevates her feet using cushions at different heights, depending on the severity of her discomfort. Diane required a foot stool which she could easily change the height of by herself. Our team designed an electric ‘high-low’ foot stool, which allows Diane to adjust the height using a remote and keep herself comfortable.